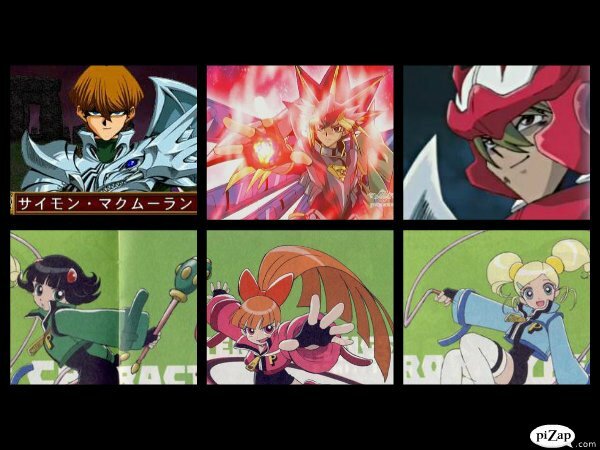 Tector Duelist. . Wallpaper and background images in the powerpuff girls Z club. This powerpuff girls Z photo contains finestra con vetro temperato, finestra di vetro macchiata, anime, fumetti, manga, and cartoni animati. There might also be slot and un bandito armato.